On Boxing Day in 1803 a young English convict named William Buckley escaped from Victoria's first settlement at Sorrento. Soon after, the settlement was abandoned and Buckley was left behind. For thirty-two years he survived in the wilderness, mainly because he was adopted by local Aboriginal tribes. In 1835 Buckley emerged with his tribal friends to meet Melbourne's founders, and quickly became an important guide and interpreter in the crucial first years of the European conquest of the Port Phillip region. Trapped in the rapidly ensuing conflict between two vastly different societies, Buckley found himself mistrusted by his former black friends and by his white compatriots. He was so harshly reviled by the colonisers that his reputation has suffered to this day. 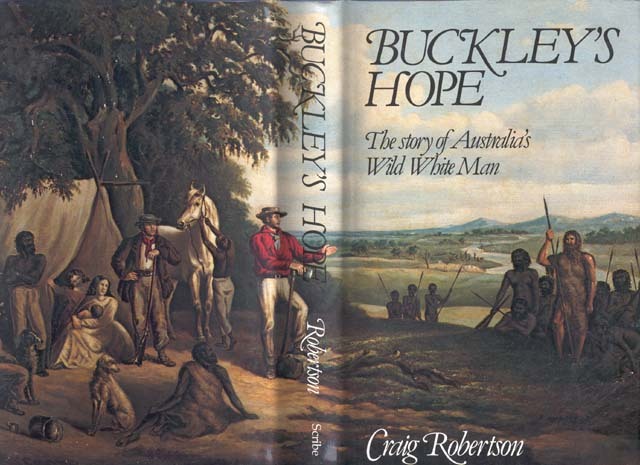 Based on meticulous research, Buckley's Hope recreates the fateful encounter between Australia's 'wild white man' and the original inhabitants of the continent. Through Buckley's eyes we see how much was at stake and how much was lost when two worlds collided. 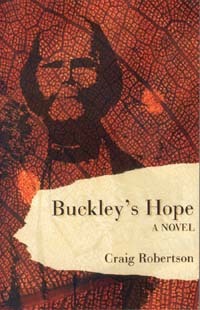 Buckley's Hope was originally published in 1980 and has remained in print for over 20 years. 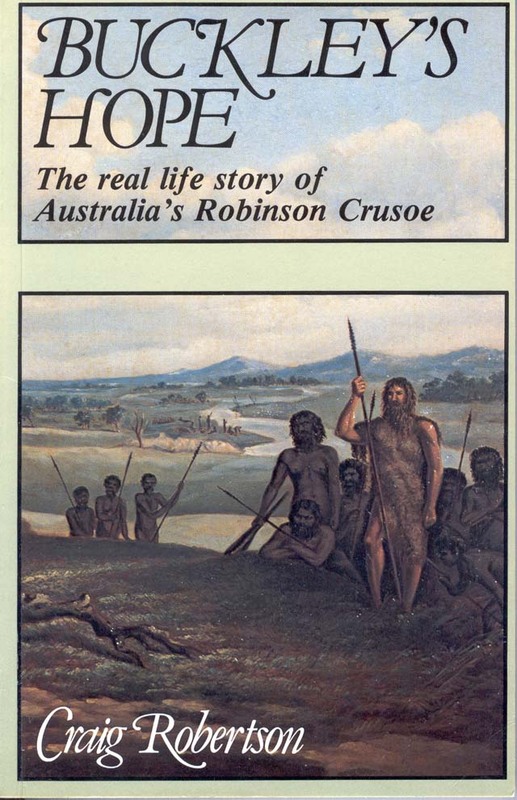 It was re-issued in 1997 with a Foreword by Wurundjeri elder Joy Murphy and a new Preface by the author. 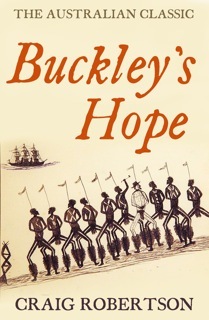 Now, as Australia struggles toward reconciliation between the two worlds, Buckley's Hope has again been re-issued in 2002. The story of William Buckley continues to haunt and challenge us all. 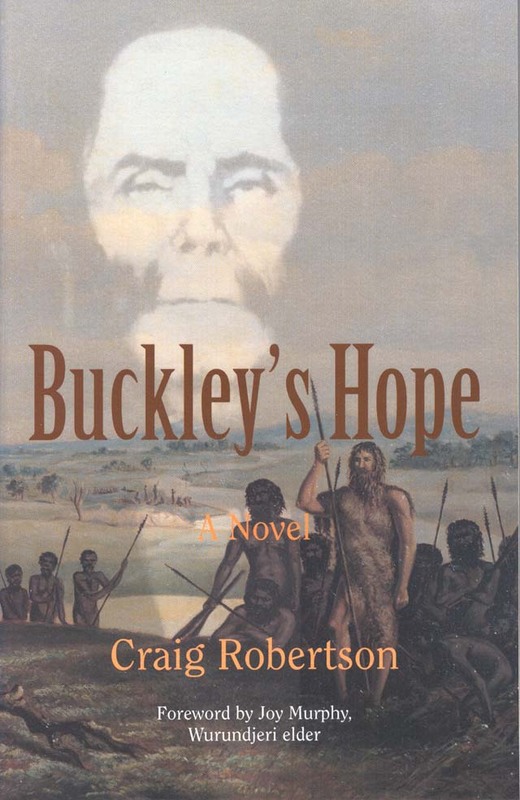 In November 2006 a slightly belated party was held in the bar of the Melbourne Trades Hall, Lygon Street, Carlton, to celebrate the 25th anniversary of the publication of Buckley's Hope and its continual record in print for that period. I spoke briefly about writing the story, then and now. Henry Rosenbloom spoke about publishing, then and now. Barry Hill spoke about the influence of the book, and then read three of his poems from his book Ghosting William Buckley (William Heinemann Australia, Melbourne, 1993). This was followed by Jan Wositzky performing extracts from his show about William Buckley, and Gregory Day and Julitha performing songs of their own about the man. An enjoyable afternoon for all. 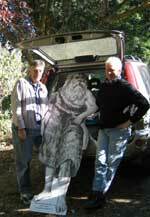 (Left) Craig and Jan take the man for a ride. The Friends of William Buckley, based at St. Leonards on the Bellarine Peninsula, Victoria, celebrated the 200th anniversary of William Buckley's escape from Sorrento with a series of cultural events and publications over 2003 to 2005. 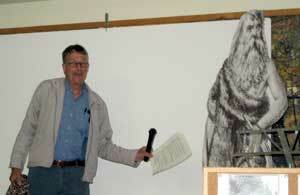 (Left) Unveiling the man at the FoWB official launch, 2 January, 2004. Slide show of the country with readings (AVI file, 6.6 Mb; 28"; for Windows Media Player or other movie programs; a Quicktime movie of the same show is also on The Expedition CD). You can purchase directly from the Scribe website. Note the links to buy the ebook from Amazon Kindle or Kobo. Buckley's Hope is also available from all good bookshops; have yours order one if not in stock. Mail order from the author is not available. www.unitedbookdistributors.com.au For other works, see Sales Information. Buckley's Escape by Tommy McRae, c. 1890. Photo © Jason McCarthy, National Museum of Australia. - new Preface by the author. Reproduced by permission of the La Trobe Collection State Library of Victoria. Text, photos and audiovisuals © Copyright Craig Robertson, 2007-2013, except where otherwise attributed.